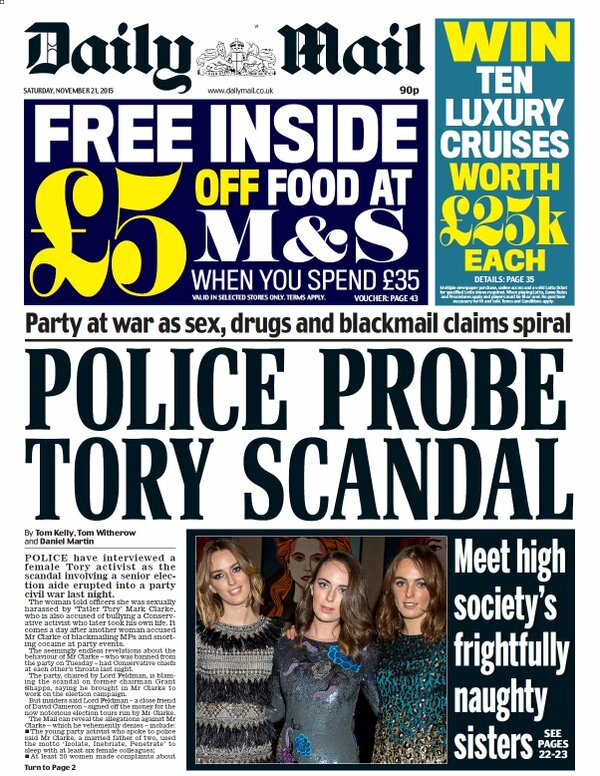 The Daily Mail are going big on this; The Sordid Scandal That's Engulfing The Tory Party. 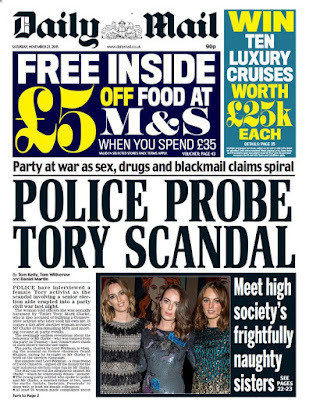 [The former party activist] said one of his [Mark Clarke's] most devious tricks during Road Trip events was to set MPs up in compromising situations so he could hold information against them to use as leverage in the future. She wrote: ‘I variously observed a number of MPs being “provided with” young men and women. It became apparent that a certain select number of MPs were always in attendance at these events. It was also known that there was a construct known as “Mark’s girls” – women who flaunted themselves as his mistresses. ‘These women, along with any others that took his fancy, were often instructed to flirt with the heterosexual members. A group of young gay men received similar instructions. PS And Fagburn is still fascinated to know what Clarke had on Elliott Johnson that drove him to suicide.